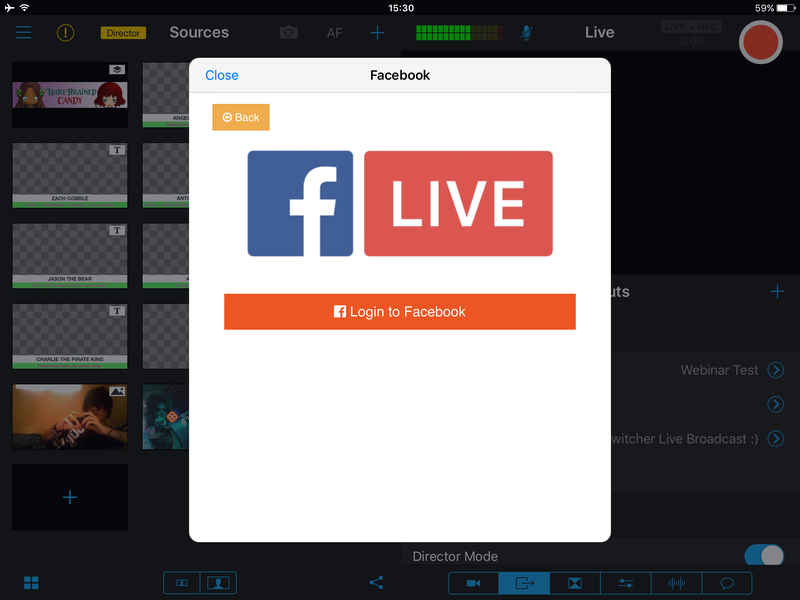 Testing your stream before going live is a valuable asset. It alerts you to any potential networking issues or quality issues before it is time for the big moment. However, a tested stream should technically occur in a way that no one can see it, so that you are able to troubleshoot freely without an audience. 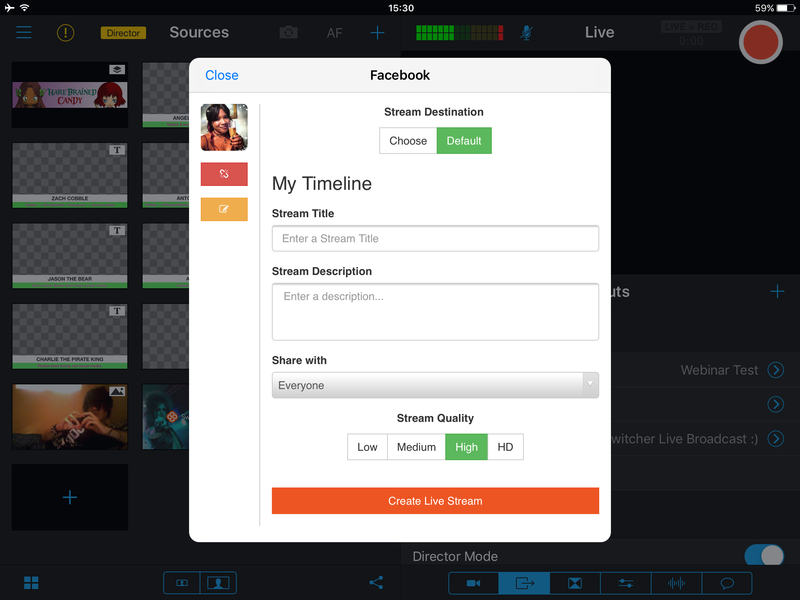 Switcher Studio allows you to create a Private Test Stream directly within the app by using Facebook. A Private Test Stream will appear on your personal Facebook Timeline and is visible to only you. This means that no one else can go to your Timeline and see this private stream. 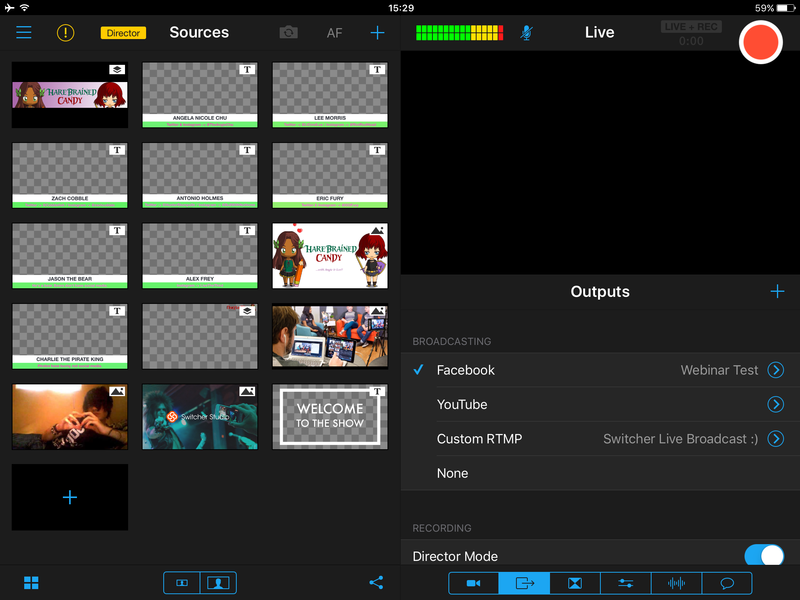 To test this, first launch the Switcher Studio app, and go to the Outputs tab. Next, tap on the little blue arrow beside "Facebook". You will need to log into your Facebook account if you haven't done so already. Once you are logged in, you will be on the Event Creation screen. Your default streaming destination is shown. We do not want to stream to the default destination. Tap on "Custom" at the top of the window to switch to the custom-selection view. Tap on the drop-down box that says "My Timeline". Select "Private Test Stream". 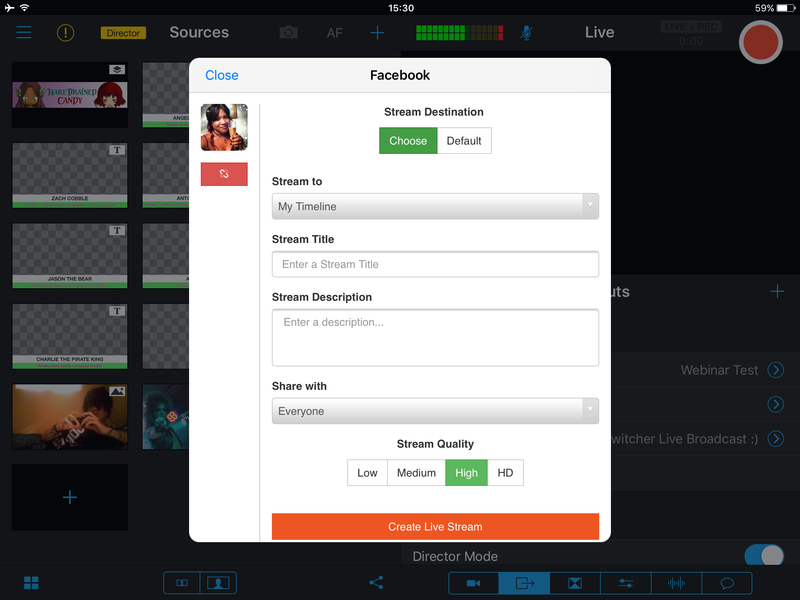 You will then just need to select your desired stream quality. Now, you are all set! Tap the big red button in the top right corner of the screen to go live, and you can check out your test stream on your Timeline in secrecy.